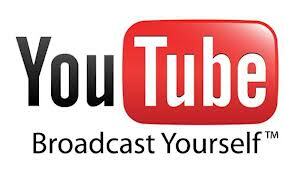 With 40+ staff, the online YouTube channel attracts over 10 million page views. The company makes money by showing advertisements (15 to 20 second pre-roll) before its movies begin. The revenue target for the year is $1 million in the first year of operation. Within just two months, only from selling ad space, Nollywood Love not only broke even but started becoming profitable. The movie “BlackBerry Babes,” has had great following. The story is about women obsessed with their BlackBerry phones. Using the low-cost readily available web platforms of YouTube.com has been the primary strategy of success of this venture. The other contributing factor for the success of the venture was the readily available content viz. Nigeria’s film industry which churns out over 600 movies every year. In comparison, the global leader Bollywood brings out more than 1,000 movies in a year while Mollywood from the southern most Indian state of Kerala brings out around 100 movies per year while Hollywood brings out around 500 movies per year.